One question I get asked whenever I give a talk about writing is how much control I have over the cover art so I figured I’d put my answer in full here. This is one of those things that varies considerably from publisher to publisher, and from book to book. I’ve spoken to authors who’ve had no say, or almost no say, in cover designs for some books. I’ve met authors who’ve hated the covers they were presented with. I’ve been lucky. For all of my books, I’ve been given a lot of input and I’ve been delighted with most of them. 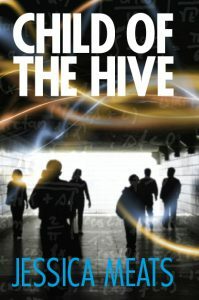 I was astonished when Child of the Hive was published how much input I was given. The publisher sent me about a dozen different designs for the potential cover – and I hated them all. I don’t want to imply that they were bad designs, but they were bad for the book. The designer who’d created them hadn’t actually read the book, he’d just been given the text to go on the back cover and a couple of paragraphs of description. The end result was some designs that would have been great on someone else’s book (there was a creepy one with a child coming out of mist that would have been great for a ghost story) but that were completely wrong for mine. We had a few emails back and forth and then I was put on a phone call with the designer and I talked about what I liked and didn’t like about the different designs, what the disconnects with the book were, and so on. He went off and came back with a different design, which I liked a lot more. I asked for a couple of minor tweaks and then was given a cover design I was thrilled with. 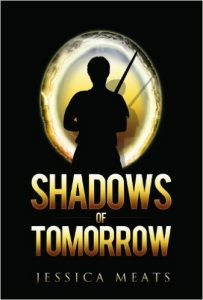 When Shadows of Tomorrow was published, the publisher gave me a form to fill out with my ideas for the cover. I suggested a figure silhouetted against a portal holding a sword. They sent me a couple of drafts and, once again, I wasn’t happy with either of them. The covers showed what looked like someone standing at the edge of the sea, which didn’t fit at all, but I did like the font on one of them. The designer went away and came back with the final cover. 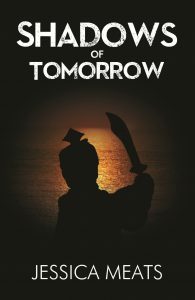 When Shadows of Tomorrow came out, I really liked the cover. In person, it’s really dramatic. I’ve come to the conclusion though that it doesn’t work as well as a thumbnail on Amazon. It doesn’t look as interesting as other covers. So when it came to Between Yesterdays, I wanted to go with the same general idea but with more happening visually. The design they sent me was pretty good, but I wasn’t sure about the image they’d chosen for Abby. For one thing, in the book, Abby has quite dark colouring, which isn’t obvious in this image. For another, this young woman looks dressed for a party rather than a battle. I went back to the publisher and asked for a different Abby for the cover, and was thrilled with the final cover design they offered me. The same sort of thing happened with the Codename Omega books. I gave ideas, they sent designs, I asked for changes. The Codename Omega books are self-published so I was given a lot of say in the design because I was effectively hiring the designers to work to my specifications. I wasn’t surprised that I was the one calling the shots with those covers, but I was surprised how much control I had with the others, especially having heard stories from some other authors about how little say they were given. I guess I’ve been lucky so far when it comes to covers. 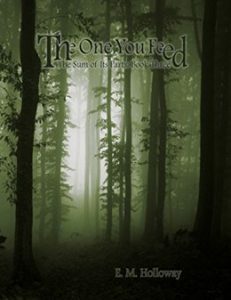 Every month in 2016 I’m giving away a different science fiction or fantasy book that highlights some form of diversity (preferably more than one). 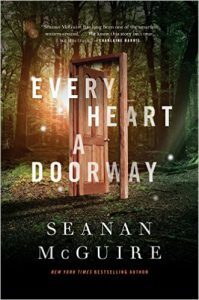 September’s book is the charming Every Heart a Doorway which I have reviewed in a previous blog post. I chose this book for its LGBTQ representation. The protagonist is asexual, and actually uses this word to describe herself which is astonishingly rare. Another major character in the book is trans. There is an incident of transphobic language from one of the other characters but this is clearly addressed by the narrative and the other characters as being unacceptable behaviour. If you want a chance to win this book, head over to Tumblr and reblog the giveaway post before the end of September. Those of you who read my blog on the website rather than through an RSS feed subscription might have noticed a new section on the right hand side inviting you to sign up to a mailing list. I’ve recently created a new mailing list to share publication announcements and news about book releases. Don’t worry, you’re not going to get spammed with constant emails if you sign up. I’ve created this list because some readers want to get told directly when I have a new book coming out, rather than having to follow my announcements on the blog or on social media sites. If you’re one of those readers, you can supply me with your email address to be added to the mailing list. You will receive an automatic notification email with a link to click on to confirm that the email account is live and that’s it. You will then receive emails whenever I have a new book coming out. Simple. 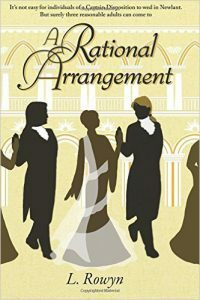 A Rational Arrangement by L Rowyn is a fantasy romance set in the land of Paradise, which has very rigid societal expectations. There are any number of unwritten rules about what is acceptable behaviour for men and women of different ranks. Unfortunately, Wisteria has never been good at unwritten rules. She needs things to be explicitly spelled out for her. So when a meeting is arranged between Wisteria and Lord Nikola on the understanding that they might get engaged, Wisteria turns up with a detailed document spelling out the expectations on both a business level and a personal level. That her document discusses details around procreation and the possibility of infidelity shocks both sets of parents, but Nik is intrigued and amused by her openness. He wants to know more about this woman who can be so forthright on forbidden subjects. His growing fondness for Wisteria however does nothing to diminish his attraction to the handsome Lord Justin. Here the rules are more clear and a sexual relationship between men is considered abhorrent so the two must keep their love affair secret. Nik is not the only one drawn to Justin though – Wisteria finds herself equally attracted and wishes society would let her marry them both. Much of this book is focused on the romance between the three characters, but there are some elements of action and suspense in the plot. It should be noted though that if you’re looking for adventure and battles in every other chapter, you might want to look elsewhere. If you like the idea of character-driven romance however, this is a great book. I love the character of Wisteria. I found myself relating to her confusion and frustration at the illogic of many societal standards. She is an open and honest character who just wishes people would be more up front about things. Nik is also an easy character to like. He’s dedicated to trying to help people, and he just wants to do the right thing. It’s easy to understand why his people feel such loyalty to him. The only character I didn’t particularly like was Justin, but he grew on me as the story progressed. My main problem with him was that he viewed certain groups/classes of people as inferior to him – he actually says, “I hate apologising to inferiors,” when he realises he mistreated an employee. This is probably excellent characterisation for a lord in a fantasy novel, but it made it hard for me to like him as a person. On the other hand, his loyalty towards Nik made him endearing and some of his actions towards the middle of the book won me over a little. Some of the plot twists were so well sign-posted that I could see them coming a mile off, but they were unusual enough that I have no problem forgiving them for being obvious. With so many books full of love triangles, I was happy to read this different take on the trope. From a representation standpoint, I thought this book did extremely well. The word “autism” is never used but Wisteria is clearly written as autistic. The way this is addressed in the book makes it clear that this isn’t an illness or a problem to be fixed, but simply a different way of being. Nik has the ability to magically heal mental illness and this meant that issues of mental illness come up frequently in the background of the story – there is mention of a character who used to be suicidal, a character goes through trauma and suffers from what is clearly PSTD (again, the modern term is not used), while there are background characters suffering from everything from anxiety disorders to full-blown hallucinations. These are all treated in a highly respectful way. All this is on top of Nik’s bisexuality and the issues of sexuality that are addressed. 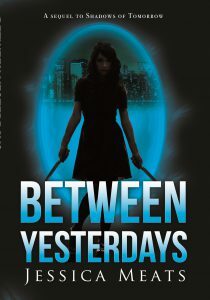 While the book was a little predictable in places, it was highly enjoyable from start to finish. 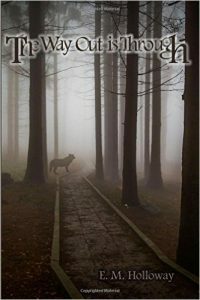 I will be on the look-out for other books by this author. Four and a half stars.